MRR wheels. The type you see here are HR3 wheels and come in 20″. shores was this Lexus GS on bags. Does this mean that the VIP scene has finally come to these shores? wheels and you’ve got yourself a winner. look good with a healthy drop and Fifteen52 wheels. from the UK to prove to the Belgians that they still rule the Dubscene. 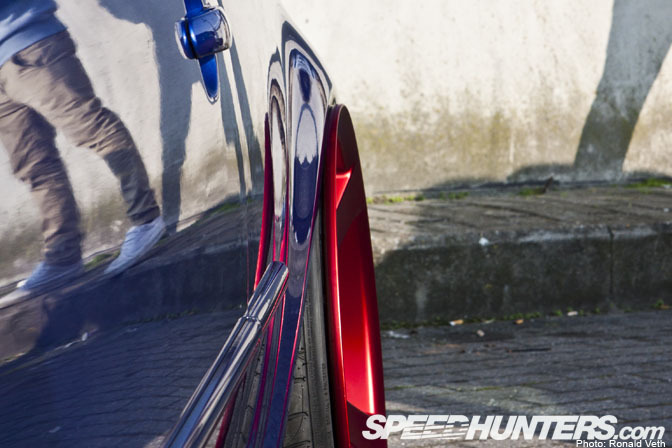 The fitment on this car was perfect. Minimalism is the key when building clean cars. You can never go wrong with a Golf MkI. Especially when it’s this clean. with a rebuild engine and some splines missing. show to see what it’s all about . haha MINImalism, I think vip has always been in europe but only in domestic form good to see a luxury jap car though. Can we get a feature on that R32? It looks flawless from these pictures! 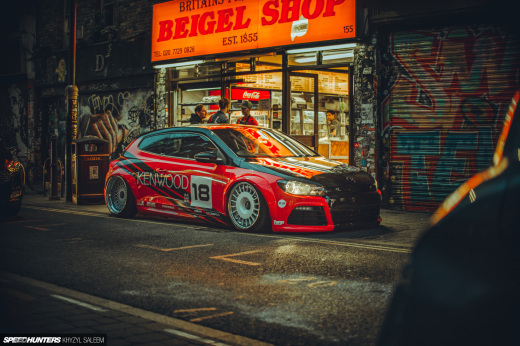 Some one will have to fill me in on what good fitment is I thought I had a good idea but I'm just looking at that golf that apparently is a good example and I cant help but think its a bit odd. As for the ViP scene hitting Europe cars like that are quite common maybe not bagged maybe not always Japanese but then aim in the same low and luxury focused. Wow that Golf Mk1 is like staring into the clouds while riding on the wings of a Bald Eagle soaring through Mt.Helena! Belgium has some awesome (and some strange) exterior designs because roadtheir taxes go up with hp..
that golf looks sick that them wheels! 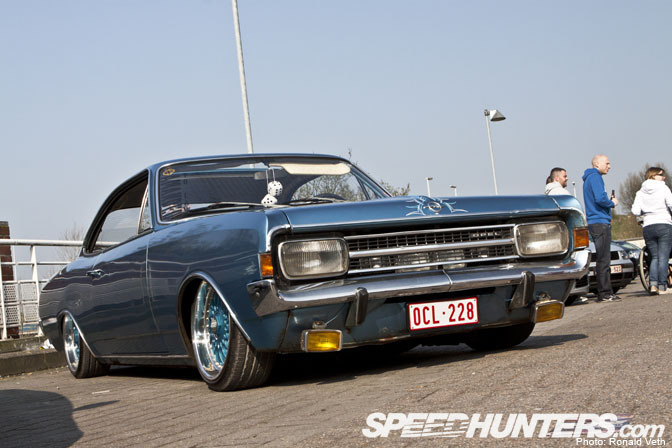 Loving the growing trend of Concave Wheels finding their way on to cars of all sorts. 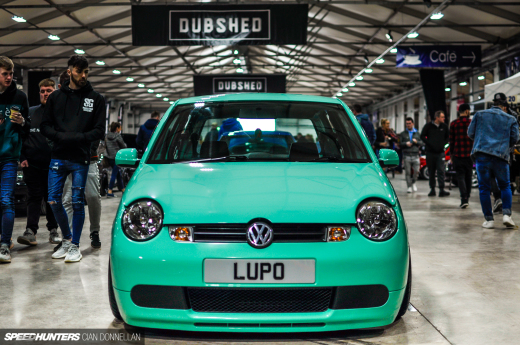 Lovin the R32, UK car scene rules! The colour combos are terrible. It's like ricers all over again. The teal Weds on the Cooper are TC-105Ns. Definitely a killer wheel. Wow, that yellow bug just looks outstanding, more pictures please! All look great, and I wish I could keep my car that low and fitment to the arch so close, but for the life of me the car might as well not run. Might as well not have an engine, as you can't use these cars for anything but for looking at. I think they should just save a lot of money by just having shells on wheels on display. I care about my car and having it so low is the worst possible thing you can do to them, not to mention the constant arch repare and rim and tyre replacement. Also driving these cars would have to be the most stressful and unenjoyable experience as you destroying the car and the rest while in absolute discomfort. Can anyone honestly say that 1. It's comfy or 2. Damge to The rims/ arches/ paint/ tyres or general wear on other parts of the car doesn't occur?? Shame there's not more pics and you missed some of the best cars. I wonder how these cars are passing the 'MOT' since it's very strickt in Belgium, for example the roadclearance needs to be above 9cm...? that first vw is awesome! not bad.. liking the VW's..
@Comment I have an 06 mini cooper s and when I tried to order these wheels the store says they will not fit with a 25mm offset. did you have to do any mods to make them fit?